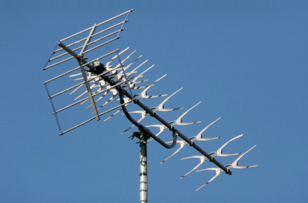 When you need someone to get to the bottom of your digital aerial or satellite TV problem in Middlesex, or you require someone to climb onto the top of your house or workplace to check your digital aerial or replace a satellite dish, Slough Aerials & Satellites are the people to call. 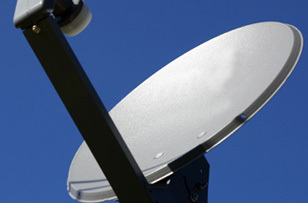 We’re experts at all things digital aerial and satellite TV related. Yes, that includes Freeview and Sky-Q. BT Vision and foreign language services. NOWTV and Hotbird. IRS and YouView. Freesat and communal systems like SMATV. Our team is ready to get to homes and warehouses and offices all over Middlesex. That includes you in Enfield and Ruislip, Northolt and Isleworth. Why would you need to call us? Loads of reasons, really. We upgrade satellite TV systems and set-top boxes, fix your satellite dishes or digital aerials if storm damage has affected your service, and install Sky, Freeview and all the other UK systems from scratch. We’ll even add extra sockets to your home or office so you can enjoy your services in more than one room. DO TV WALL MOUNTING for homes and bars/clubs/restaurants and other commercial properties. Give yourself more floorspace by getting those widescreen TVs neatly mounted to your walls, with no wires visible. PLAN AND INSTALL DOMESTIC AND COMMERCIAL AV SYSTEMS – home cinemas and professional presentation set-ups to impress your clients. If you need them, we’ll install them. If they need mending, we’ll fix them. FIX AND INSTALL CCTV – Be safe, be secure and be aware of all that’s going on around your workplace or home with the latest domestic and commercial CCTV systems, all of which we can install and maintain. Independent: rely on us for unbiased opinions about all things digital aerials and satellite TV. Prepared: our Engineers are ready to climb those extra few feet to reach aerials or satellite dishes that other companies might refuse to consider. 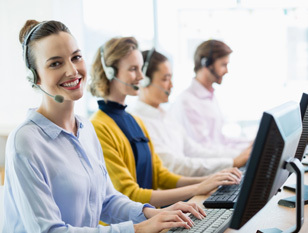 Having our number to hand will mean you’re just a call away from getting all the help or advice you need for anything connected with the UK’s satellite TV services. We install, repair, upgrade and maintain the big names like Sky and Freesat, as well as the lesser known ones like foreign language systems and Hotbird. If you usually call someone else to deal with your satellite system, why not give us a try this time around and see why Slough Aerials & Satellites is so popular in all areas of Middlesex? We’re quick with our quotes, can get to your home or workplace faster than most and 95% of the time will sort whatever satellite problem or task you needing sorting on the same day. If you want to watch digital TV services like Freeview, NOW TV or BT Vision, or you want to listen in to a huge range of DAB radio stations, you’re going to need a decent digital aerial up on your roof. We’re the people to call to make sure you get the best aerials in the best place to give you the best reception. We’re experienced at installing, repairing and upgrading digital aerials for customers all over Middlesex, from Edmonton to Twickenham and Hayes to Hillingdon. So why wait for your usual provider of these sorts of services when we’ve got experienced engineers on call 7 days a week who can provide a positively professional service whether you’re a business or a resident?